Bill Cotter entered education after completing his M.A. in Anthropology at UC Davis, where he conducted his fieldwork in Madagascar and Tanzania. 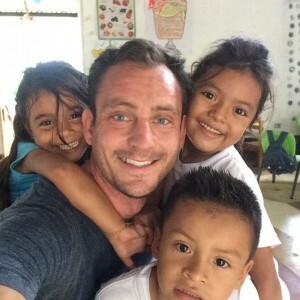 After a year of teaching in California, Bill sought to combine his passions for education and travel by becoming an international school educator in 2009. During his seven years abroad Bill taught in China, Mexico and Peru. In his most recent position, Bill had the chance to deeply integrate experiential learning in the classroom as a member of the Roosevelt Innovation Academy. Before becoming a full-time staff member with SStS, Bill served as a course instructor for the Bolivia and Nicaragua courses. In addition to developing educational programming and courses in Latin American, Bill also co-instructs SStS’s Ethical Leadership Institute.